Lice are parasites that live on the scalp, where they feed on blood. Although lice live primarily on their host, they sometimes crawl off the host and onto other surfaces they come into contact with, such as clothing, carpets and bedding. You'll need to clean and decontaminate any surfaces the lice may have touched to avoid reinfecting yourself after receiving treatment. Lice and the eggs they lay are difficult to see, so assume lice are present, and treat any potentially contaminated surfaces. Getting rid of lice requires treating the person as well as his clothing and bedding. Treat the affected person first. After doing so, clean your hair brushes; drop brushes, combs and nit combs into a pan of hot water and boil it on the stove. Let the water reach 150 degrees Fahrenheit, and then keep it boiling for 10 minutes. If you fear that heat will damage a brush or comb, soak it in a disinfectant such as Lysol for one hour. Strip mattresses of their bedding. 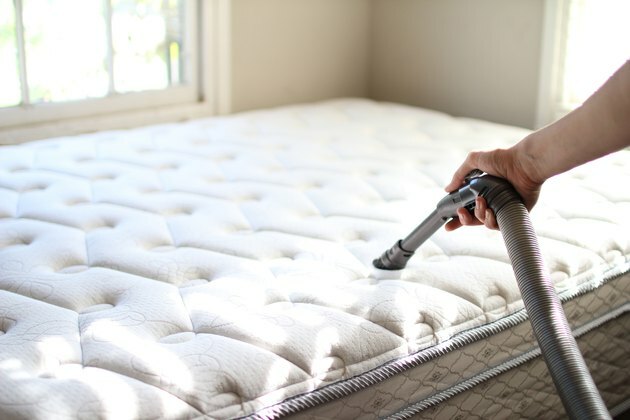 Vacuum the mattress with a hand-held vacuum or a vacuum attachment to pick up any lice or eggs on the fabric. Wash all clothing, pillowcases, sheets and bedding in hot water, 125 degrees Fahrenheit or warmer. The hot water will kill the lice and any lice eggs on the fabric. 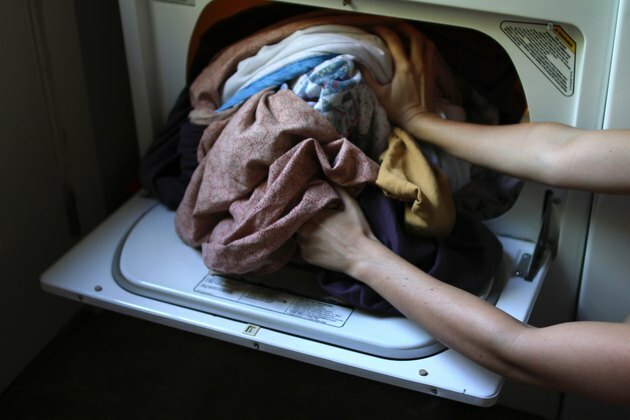 Place the clothing and bedding in the dryer, and dry it on the hottest cycle for at least 20 minutes. Dry clean all clothing that is not machine washable, including outwear, hats and gloves. The chemicals used in the dry-cleaning process will kill the lice just as effectively as hot water. 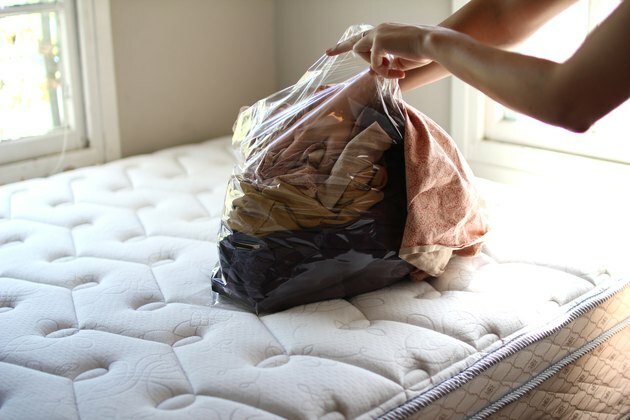 Place all items that cannot be washed, such as stuffed animals, cloth-covered toys or large comforters in a plastic bag, and tie or seal the bag shut. Remember to include headbands, barrettes or hair accessories that could not be boiled with your combs and brushes. 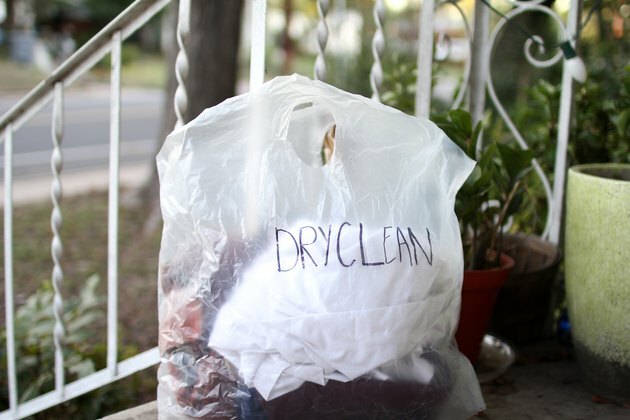 Leave the items sealed in the bag for 10 days to kill any lice or eggs. You can also place nonwashable items in the dryer for 20 minutes on high heat, but only if it is safe to do so. Vacuum the floors, carpets and furniture. This will remove any existing lice and eggs from the surfaces and prevent the lice from transferring to people. 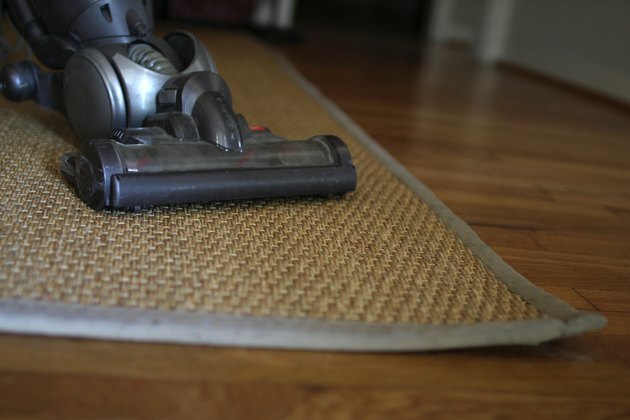 Resist the urge to fumigate infected carpets and furniture. These chemicals are toxic to people and animals and are not effective at removing the lice and eggs. Any remaining lice and eggs not picked up by the vacuum will die within 24 to 36 hours. Vacuum your car's headrests and children's car seats to prevent spreading lice from one family member to another.